Pea starch is extracted from the Pisum Sativum dry pea. It is characterized by a large part of amylose and a low gel temperature, which explains its functional texturizing and film-forming properties. 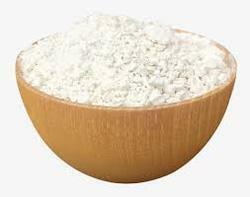 We are the manufacturer of Starch For Cosmetic Industry. 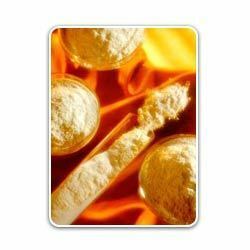 To fulfill the requirements of our patrons in the most effectual way, we are offering an extensive range of Corn Starch Powder. We are a top notch supplier of Starch Soluble. pregelatinised starch is produced from native starch by chemical or mechanical processing to rupture all or part of granules in presence of water and subsequently dried. It is used as a tablet binder, tablet and/or capsule diluent, and also as a tablet disintegrant. Fixovin High Speed Corru Starch is a starch based adhesive which is used For high speed auto plants (i.e. upto300m/min) automatic plants. It is a cold soluble adhesive in powder form. It has a gelatinization temperature of 59 o Celsius. ARP powder protects both ferrous and non-ferrous metals from corrosion in areas, interior cavities, and voids. Powder provides an extremely efficient dry method to protect metals within an enclosed space. The Powder vaporizes and adsorbs on all metal surfaces; reaching all exposed areas, including recessed sections and interior cavities. MAIZE STARCH IP/BP/USP is a fine white powder, odorless taste and characteristic and microbiologically suitable as useful in Pharmaceutical Industry and Food Industry.